The Fieldbook is an intensely pragmatic guide. 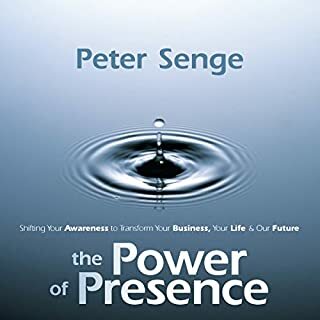 It shows how to create an organization of learners where memories are brought to life, where collaboration is the lifeblood of every endeavor, and where the tough questions are fearlessly asked. The stories here show that companies, businesses, schools, agencies, and even communities can undo their "learning disabilities" and achieve superior performance. If ever a work gave meaning to the phrase hands-on, this is it. 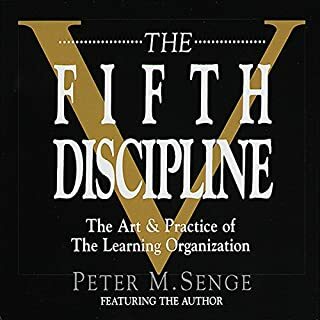 Senge and his four co-authors cover it all including: reinventing relationships, being loyal to the truth, building a shared vision, organizations as communities, and designing an organization's governing ideas. 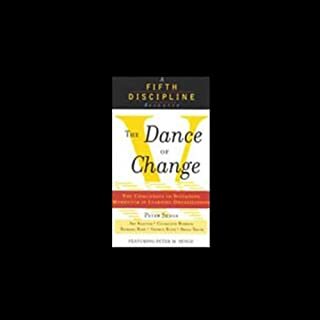 ©1999 Peter M. Senge, Art Kleiner, Charlotte Roberts, Richard B. Ross, and Bryan J. Smith (P)1999 Random House, Inc., Bantam Doubleday Dell Audio Publishing, A Division of Random House, Inc. 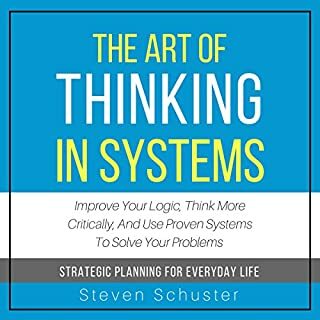 This will help you to be a systems thinker, and there is a great chance that you need to think more systems than you are. I know I do. 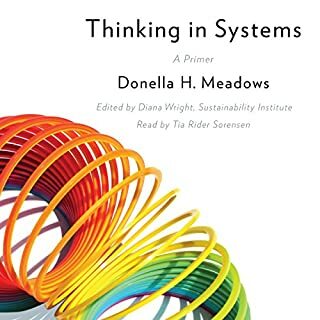 The systems thinking concepts put forward in the Fifth Discipline books is profound. It would be very hard to understand the concepts from an audio book alone. However, if you want a review after reading the book or an overview prior to spending time with the concepts the audio book is helpful. 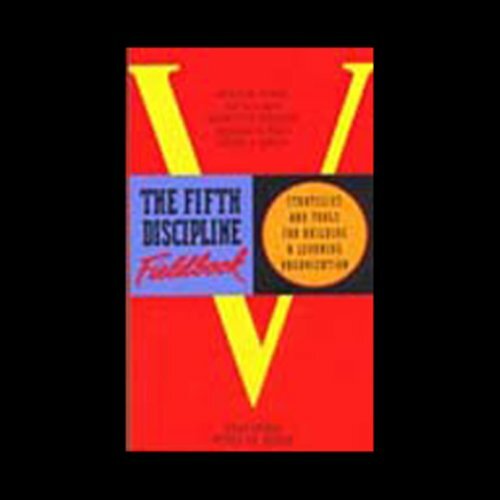 What made the experience of listening to The Fifth Discipline Fieldbook the most enjoyable? 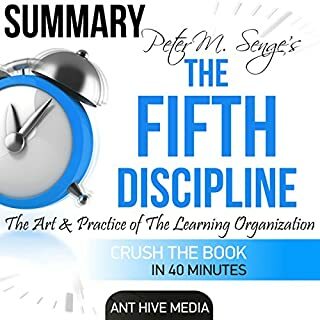 This book follows on Senge's business classic, The Fifth Discipline, with practical application and examples from real companies. Since it's a fieldbook, it is not ideally suited to the audiobook format--it would be useful to have the print or Kindle edition as well, for note taking and reference later on, and I found myself listening to 15 or 20 minutes and then stopping to reflect on what I had heard. But, since I have more time to listen in my car than to read at other times, this is an excellent compromise. In this format, the most engaging parts of the audiobook are the examples, which were well-chosen and very interesting. What other book might you compare The Fifth Discipline Fieldbook to and why? The obvious comparison is to The Fifth Discipline, which was a bit more theoretical, while the Fieldbook is more applied. What about Peter M. Senge and Art Kleiner ’s performance did you like? Senge's sections seemed very conversational, like reflections on the more formal parts of the audiobook. Kleiner's performance was quite good as well. If you have read the Fifth Discipline then these stories add flavour and context to the book. If you haven't and like me you learn thru story telling and narratives you could start with this book and then go to the theory in Senge's main works. great ideology, a must for every CEO worldwide. heard from it in a class and been hearing it simce then.